Photo: East end of the Valle de Lecrín. Eastern Mojave Vegetation East end of the Valle de Lecrín. 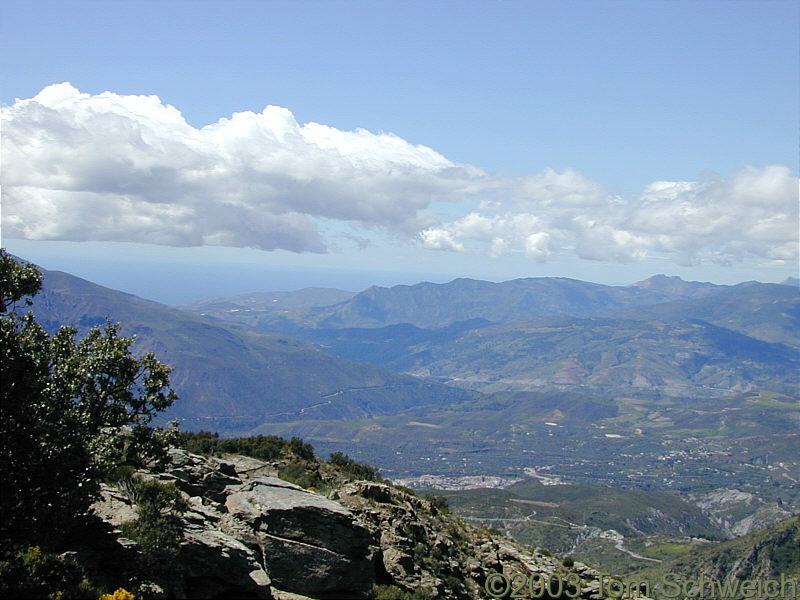 Taken from Loma de las Palominicas, this view shows Orgiva in the southeastern end of Valle de Lecrín. The Mediterranean is the patch of blue seen through the gap in the mountains. Other photos about Spain - Andalucia or La Alpujarra - Valle de Lecrín.